Heavenly Father, with a heavy heart, we approach your seat of mercy to give our thanks to you. Our blessed brother Xinheng and sister Lisi have testified that nothing, neither visible nor invisible, could keep them from gaining Christ. To gain Jesus Christ, they gladly received their suffering, be it the physical assault from their enemy or the various forms of torture from the Evil One, because the cup Christ drank from, they also drank from it. They rejoiced in being worthy of sharing in the suffering of their Lord and without any reservation, they gave up their lives as pleasant offerings to their Lord. Because they knew the Enemy could only kill their bodies, not their souls. They knew that day shall come when they will be raised from death and enter into full glory, although their bodies had to endure excruciating pain when they laid down their lives for their faith, and darkness appeared intimidating and undefeatable. However, in their faithfulness to their Lord and their hope for resurrection, they resisted the attack from the Evil One and endured every form of torture, as if they were eagerly expecting to see Christ; thereby they testified to us: our present sufferings are not worth comparing with the glory that will be revealed in us. Indeed our Heavenly Father loved us this much! He gave his only begotten son Jesus Christ to die for us so that we could have eternal life. In the name of our Lord Jesus, we give our praise and thanks to our Lord, for the gift of eternal life and your preservation of the martyrs. Amen! All: Herefore, my beloved brethren, be ye stedfast, unmoveable, always abounding in the work of the Lord, forasmuch as ye know that your labour is not in vain in the Lord. All: And others had trial of cruel mockings and scourgings, yea, moreover of bonds and imprisonment: 37They were stoned, they were sawn asunder, were tempted, were slain with the sword: they wandered about in sheepskins and goatskins; being destitute, afflicted, tormented; (Of whom the world was not worthy:) they wandered in deserts, and in mountains, and in dens and caves of the earth. All: be thou faithful unto death, and I will give thee a crown of life. All: Verily, verily, I say unto you, Except a corn of wheat fall into the ground and die, it abideth alone: but if it die, it bringeth forth much fruit. Sent by a Chinese and Korean missions organization, our brother in Christ Li Xinheng (Local name: Dawood) and sister in Christ Meng Lisi (Local name: Musa) went to the Zhena district of Quetta, the provincial capital of Balochistan province in southwest of Pakistan in November 2016. They started a Chinese school there and while teaching Chinese, studied the Urdu language and learned the local culture. The city of Quetta in Pakistan is a region where military conflicts and terrorists are active. 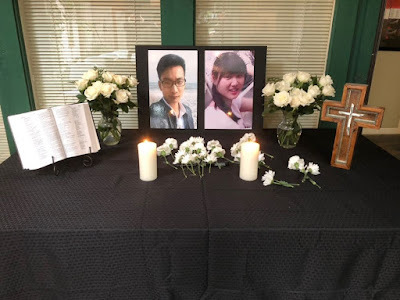 On May 24, like any other ordinary day, Xinheng and Lisi left the language school and were about to dine out with another missionary from Wenzhou, China when they were abducted by three armed ISIS members disguised as policemen. 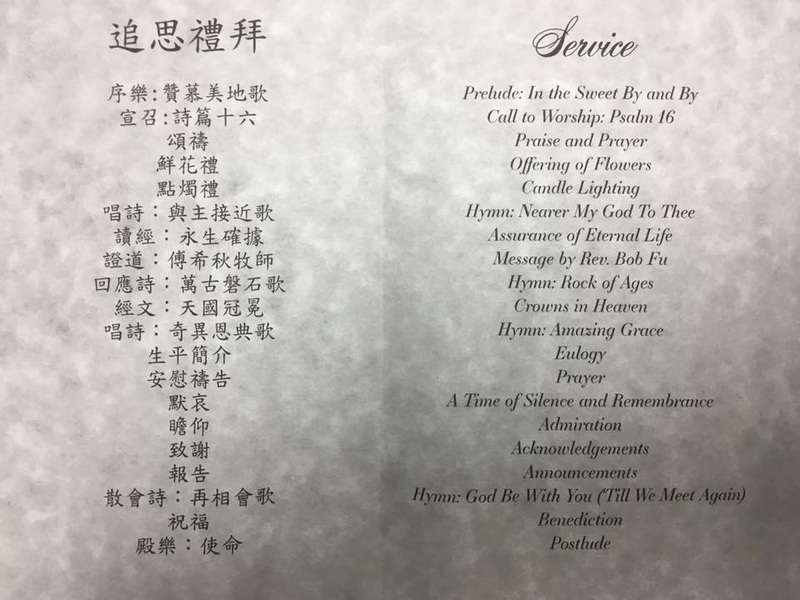 The missionary from Wenzhou narrowly escaped when the kidnappers fired shots and intimidated passersby, but Xinheng and Lisi were taken by the gunmen to a car without a license plate. 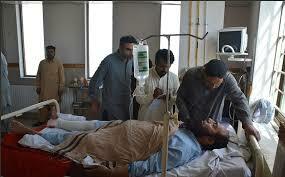 When the abduction happened, a Pakistani man who tried to help was injured and hospitalized. 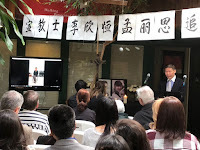 Chinese foreign ministries declared on May 25 that the Chinese government would pay close attention to the safety of China citizens abroad and would denounce any kind of kidnapping. They also claimed that they would try their best to work with the government of Pakistan to secure the release of these kidnapped Chinese citizens. The special forces of Pakistan launched military operations in Mustang, south of Quetta, trying to clear out all the military gangs related to ISIS. After days of investigation, they finally located armed men in a cave in Mustang. The army started an attack on the early mornings of June 2 and 4. As the area twisted with narrow passages, the government force could only travel on foot, as no vehicles could get through. The government army fired at the armed men, killed 12 terrorists, and secured the arms and ammunition. Eight members of the strike force were injured and two of them were seriously wounded. The government force found the kidnappers’ car but not the two people. 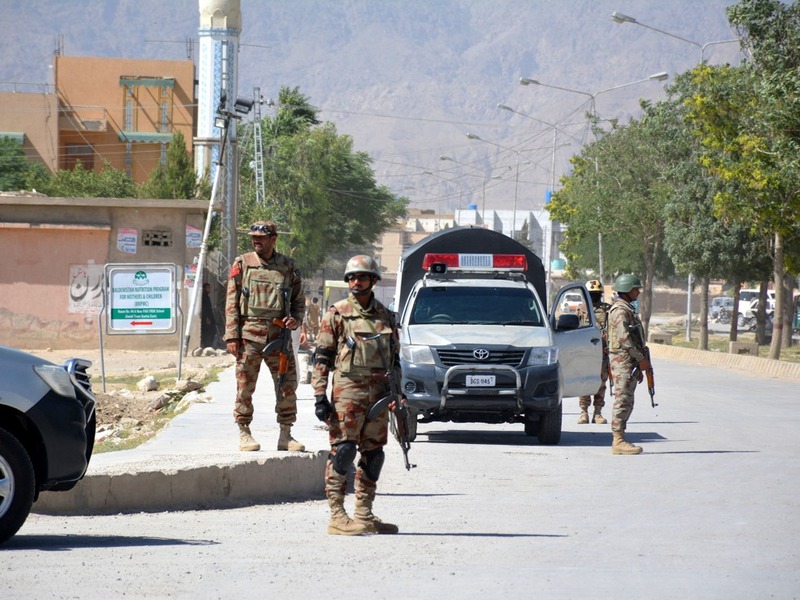 On June 6, the Phoenix network of China falsely reported that the Pakistani strike force succeeded in rescuing two hostages near Quetta. On June 8, however, ISIS publically announced that the two hostages had been killed. The next day, the spokespersons of China’s Foreign Ministry and the Prime Minister of Pakistan Nisar Alikhan confirmed that the deaths. 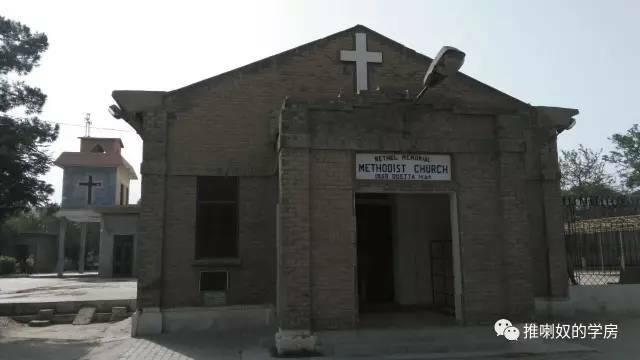 On June 13, the Pakistan Christian Post published an article by the Pakistan Christian Congress, in which Dr. Nazir S. Bhatti criticized the operation, saying that Pakistan did not do enough to protect the Chinese missionaries. Instead of trying to rescue the hostages first, they focused on bombing and attacking the terrorists. 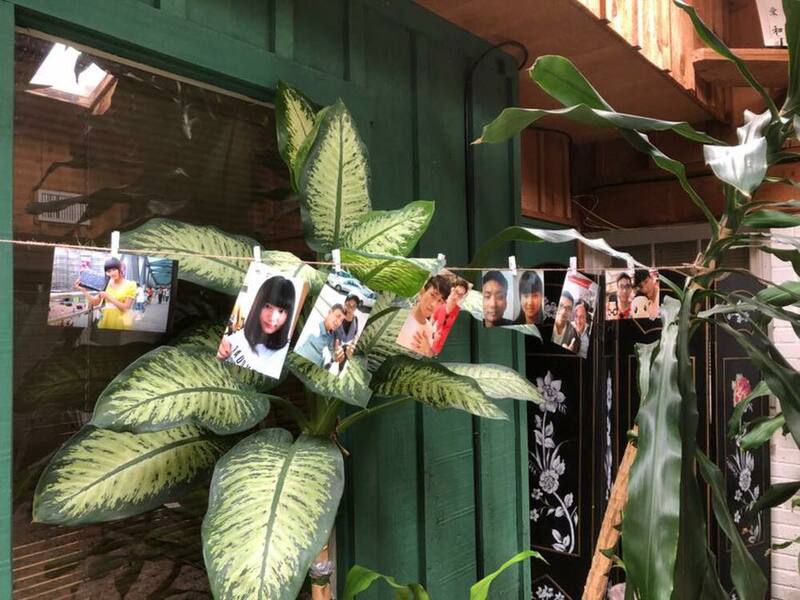 When the news of the kidnapping of Xinheng and Lisi spread, their friend Elsha said she could not believe that only one day before they were taken, they had visited her with another Chinese girl. In shock, Elsha cried and prayed for them. Xinheng and Lisi had visited Elsha once a week to teach her Chinese, sing songs, and watch movies. Because Balochistan is an unstable place, Elsha once suggested they should find a personal guard, but they said they believed the Pakistani people were friendly. 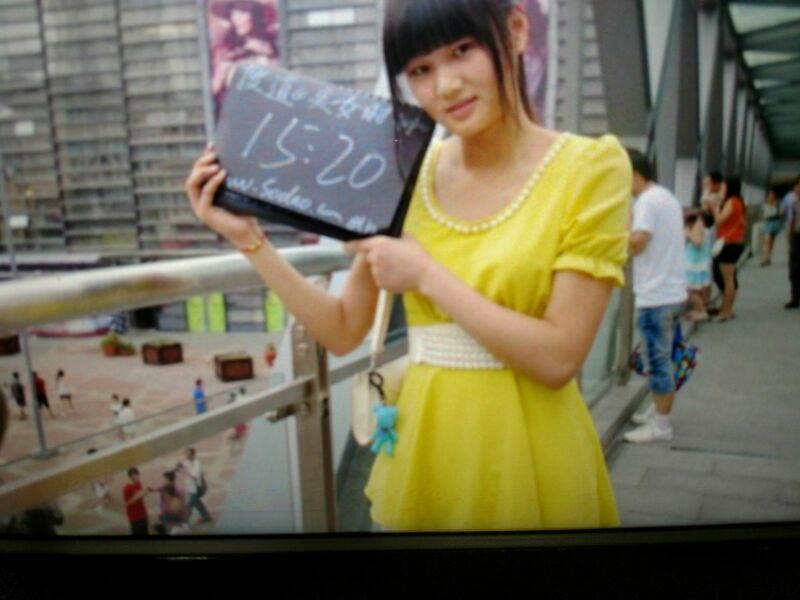 The deaths of Xinheng and Lisi drew great attention in China. People anxiously waited for further news. 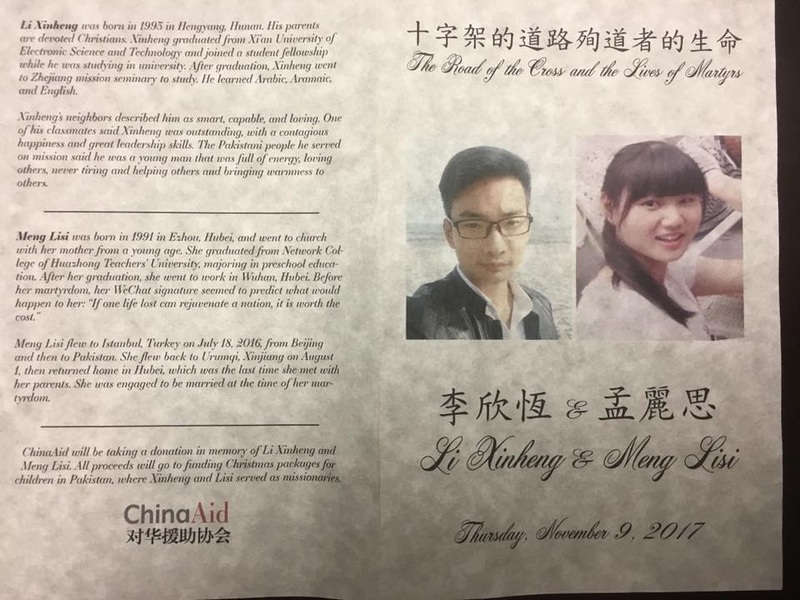 Parents of Xinheng and Lisi received request for a blood test from China’s security department, which revealed their bodies had been found by the police of Pakistan. Through this, their identities were confirmed. Their parents went to the embassy of Pakistan in the aftermath. 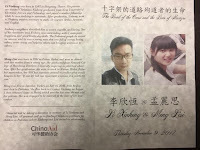 On Nov. 2, the ashes of Xinheng and Lisi were sent back home. Li Xinheng was born in 1993 in Hengyang, Hunan. His parents are devoted Christians. 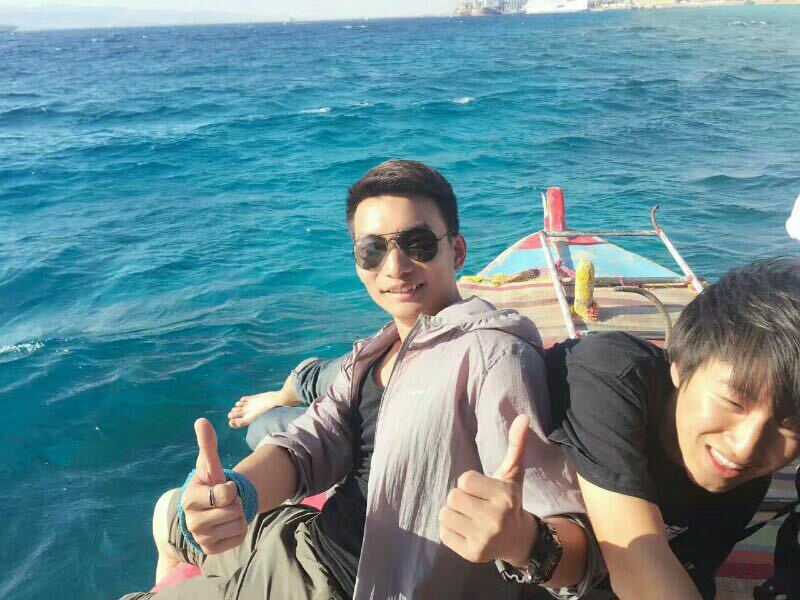 Xinheng graduated from Xi’an University of Electronic Science and Technology and joined a student fellowship while he was studying in university. 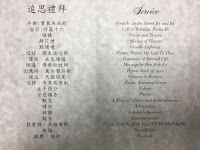 After graduation, Xinheng went to Zhejiang mission seminary to study. He had learned Arabic, Aramaic, and English. Xinheng’s neighbor described him as smart, capable, and loving. All his colleagues were sad about his death. One of his classmates said Xinheng was outstanding, with a contagious happiness and great leadership skills. The local Quetta people said he was a young man that was full of energy, loving others, never tiring and helping others and bringing warmness to others. Meng Lisi flew to Istanbul, Turkey on July 18, 2016, from Beijing and then to Pakistan. She flew back to Urumqi, Xinjiang on August 1, then returned home in Hubei, which was the last time she met with her parents. 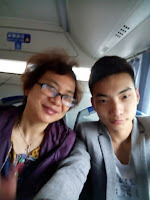 On Sept. 19 of the same year, Lisi and Xinheng went to Renchuan, South Korea from Yantai, Shandong. On Oct. 2 they returned back to China together before going to Bangkok, Thailand on Oct. 18. In November, they headed back to Pakistan again, where they were killed. 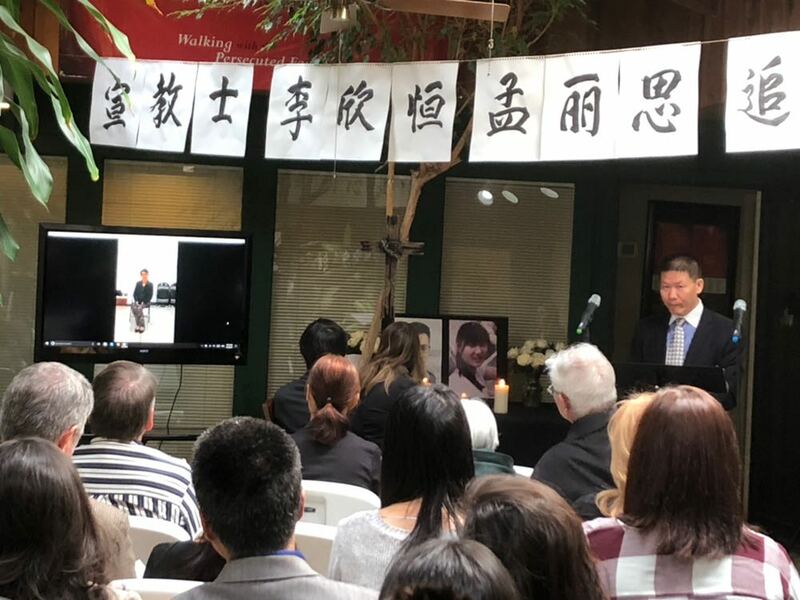 Before Xinheng and Lisi died, a video broadcast showed both of them laying in pools of blood, with blood flowing from their mouths and noses. Their eyes were shut and the scene was very dark. There were rocks and grass surrounding them, and one man said in English that they were Chinese. In the scene, the sound of breathing was faintly heard. Voice of the Martyrs recorded that sound and it has become the evidence for the saints to judge the wicked people at the end of the world. The voice will be broadcast everywhere in the world. These martyrs live because of faith. Their shouts will never stop, continuing forever. Now, Xinheng and Lisi’s burdens are relieved and set aside. They enjoy the peace in the Lord. They are back to their true country. Although it is difficult to say goodbye, Jesus is our hope. When that day comes, The Lord will wipe out our tears. There will be no more pain or crying, We will be with thousands of saints and worshipping Jesus Christ, the lamb who died and was resurrected! Our dearest sister and brother in Christ, Xinheng and Lisi, may you rest in the Lord. Our Father in Heaven, you are the father of the fatherless and the defender of widows. We come before you with hearts filled with awe and grief because of the martyrdom of a dear brother and a dear sister in Christ. This is a time of trial and suffering for your Church, but because of your mercy, you comfort our hearts with great comfort. Consolations from you never faint away and never become futile. We pray for the family of our martyred brother and sister, who, out of great faith, laid down their lives for your name. We pray for their parents and siblings they left behind. Dear Heavenly Father, we pray that you comfort them in the midst of their multitudes of suffering and loss, and strengthen and sustain them with your holy presence. May you meet them where they are and cheer them up. Please meet their financial, spiritual and emotional needs through us, the surviving members of the Body of Christ. Use us to support them and encourage them. Lord, may you sustain and bless their family members and give them the conviction that nothing --- whether it’s suffering, frustration, persecution, danger, loss, death, life, angels or any powers --- nothing will be able to separate them from the love of Christ! In all these things, we are more than conquerors through our Lord who loved us. In the name of our Savior Jesus Christ who paid our ransom with his own blood we pray. Amen! When they were arrested, a total of three people, one of whom was kicked down, because who they were looking for was another child, did not find. The kid who was being kicked back said that Xinheng was very calm and not nervous at all. He may had foreseen that this day would come. Really thank the Lord! No begging, no compromise, we know that there were ten days in the middle of this time, no one to assume this responsibility, no one come to take responsibility. They did not look back, what would come even though they had been released, they chose for their faith and life, did not compromise for the sake of faith. They insisted on their faith in it, which is a great comfort for us parents. Yes, we must follow Jesus Christ. Even if sacrifice life, never compromise to Sadan. It is the most terrible to have life and soul both killed rather than only have life killed. I am very grateful, thank you. 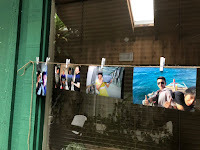 Thank you for your concern and intercession for us, we are really grateful, we now know that they have returned to China, we have come out of the miss. Because we know that our child has hope, and we are very clear where our child went, and our hearts are the clearest. In the near future we will meet and be together forever. Really, though he had been suffering, he also took his own labors. Really I am very grateful, the words of brothers and sisters, will inspire more people to go out. May I also be able to stand up again and be a missionary’s mother again. Because I have special responsibility on intercession. My good boy was a sacrificial offering to Jesus himself. At that time, I said so. My child was able to repay the blood debts owed by the Chinese. This is the grace God has given me. I said that he wants to go to a country and must become the blessing and best wishes of the country! Really, this is my prayer, I have been praying. How many brothers and sisters in our church, because of this missionary prayer, I have always had a special responsibility, so thank God. Thank you, brothers and sisters, thank you, Jesus, especially thank you. Can pick Xin Heng, can pick such a child. Really, we thank the Lord. We are grateful, our children are grateful. But we think that every brother and sister must glorify the name of the Lord. Do not for yourself, someone's glory, or church glory. It is all we need for glory, which we also want of Jesus Christ. It is also the joy of our family, and thanks to the Lord, this is our joy.